Here comes another exciting new initiative! 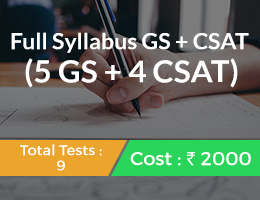 Starting from coming Monday (February 19), we are going to post daily 5-10 questions on static topics that are mentioned in the UPSC civil services preliminary examination syllabus. 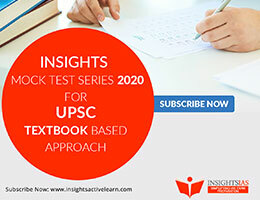 As UPSC is making preliminary exam more unpredictable each year, an aspirant must be prepared to face both current affairs and static syllabus related questions with equal ease. Whatever be the ratio of these two areas in actual prelims, you should not panic. 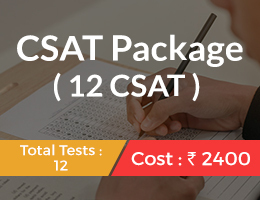 Considering this aspect of UPSC CSP, we are going to start this new initiative. This new initiative will compliment both daily current affairs quiz and Insights prelims test series-2018. 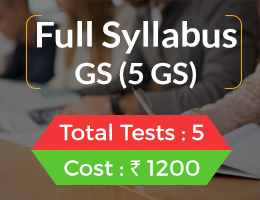 Following are the topics that are there in the syllabus. One week will be devoted for one topic in the syllabus. For example, coming week we will focus on History of India and Indian National Movement. Its next week we will frame questions on Indian and World Geography. The primary sources will be NCERT books and government sources(their reports, websites etc). We will also frame questions from other unconventional sources and let you know the source. Especially from sources where static topics are in news(like anniversary of important historical events, persons). Just because we frame questions from different sources, it doesn’t mean you have to follow these sources. This is just to provide you a large database of questions for enhanced preparation. We know that some students start worrying the moment we refer to extra sources. They start worrying that they should study these extra sources as well. No, you don’t have to. 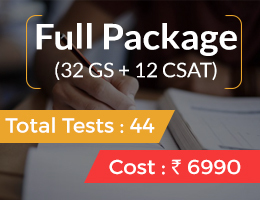 Questions we are going to post will compliment the questions that you are already solving in test series. Take these as value addition to your preparation, not as burden. These daily quizzes are not based on any specific daily pre-readings. We will come up with our highly popular Prelims Revision Plan in April-2018 where we will give you a detailed Timetable based on which we will post daily revision questions. This new initiative will be posted 6 days a week. 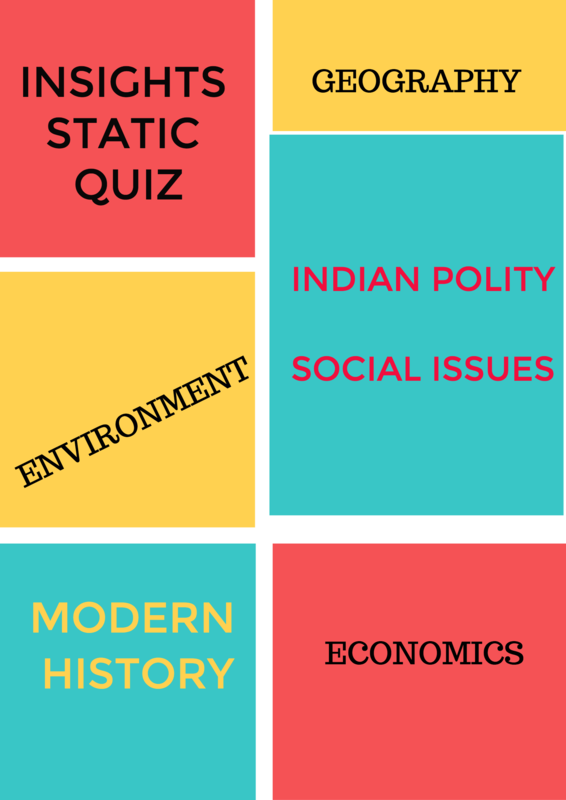 These quizzes will be posted throughout the year just like Daily Current Affairs Quiz. As mentioned above, we will follow rotational basis every six weeks. First week is going to be History Week. On an average, around 8 weeks will be devoted to one topic from prelims syllabus (i.e. 8 weeks for History, 8 weeks for Geography etc). These questions will be posted around 11.30 am between Monday to Saturday. 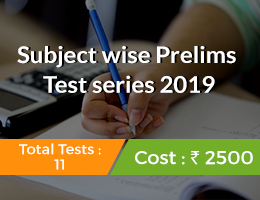 You don’t have to deviate from following prelims test series timetable. While following the syllabus of prelims timetable, just go on giving these quizzes as revision exercise. Don’t panic in case you don’t know the answers to these questions. As stated above, learn from these questions and add value to your knowledge. Again don’t run behind sources of these questions just because you are not able to answer them. We will try our best to restrict nature and relevancy of these questions to actual UPSC prelims level. We will NOT ask any irrelevant ‘exotic’ questions just to showoff. We will always use UPSC prelims question papers as template to frame questions. Before you jump to the conclusion that any question is irrelevant, first solve 15-20 years of previous UPSC prelims papers and then pass judgement. We will definitely correct ourselves. We will do our best to be consistent in this initiative. Expect high quality practice questions starting from coming Monday. 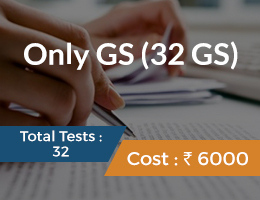 Your exam preparation will get even more better.